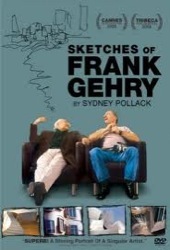 A famous movie director (Sydney Pollack) documents how a famous architect works. 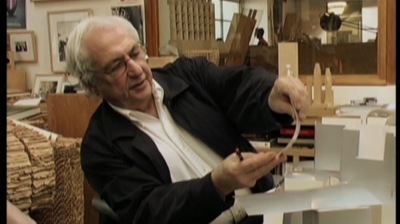 As Pollack struggles with his first documentary, Gehry struggles to be amazing again as he plays with paper models. 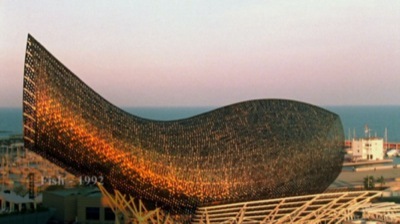 Gehry is the renowned architect who designs the swoopy, crumpled, and absolutely non-rectilinear buildings such as the Bilbao Guggenheim museum. 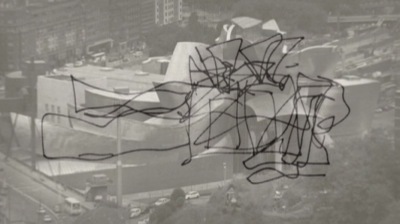 But he is almost an accidental architect, and certainly an accidental superstar. He started out driving trucks and wanted to be a pilot. The theme of this documentary is the fragile nature of creativity – how difficult it is to sustain for anyone, but especially for the already successful. 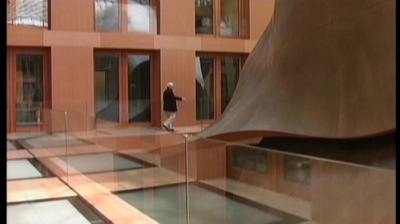 Gehry is unexpectedly candid about his fear of failure and even lets his therapist profile him. Best of all is his openness to let us watch him as he comes up with lame ideas and stupid suggestions, on the way to finding something that works.